Sometimes you need to step out of the box a bit and read something completely different. So last night I decided to pop open my pocket-size compendium edition of Richard Moore’s excellent Antarctic Press series, Chip. Richard Moore is the writer/artist of Boneyard, one of my favorite comics series of all time. With Chip, Moore brings to the table his trademark irreverent humor and wonderful cartooning sensibilities. 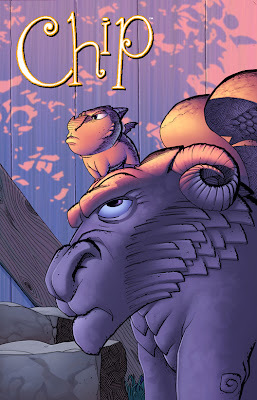 Chip tells the story of the world’s tiniest gargoyle, who lives on a farm in upstate New York where gargoyles are hand-chiseled by the farm's owner. Also, all the gargoyles can walk and talk. The compendium edition available on Amazon combines Moore's two Chip mini-series and follows the diminutive gargoyle as he quests to become the most terrifying gargoyle who ever lived. The image of Chip--standing in at just under 4 inches tall--next to the other gargoyles on the farm is funny enough, but throw in the protagonist's penchant for bold words and--we'll say--overestimation of his own abilities, and you've got a winning tale. What's more, though, this comic book is actually and truly targeted at an all-ages audience. This is a Big Deal in comics today because, let's face it, most all-ages books are simply not good. Either they don't work as a kid's book, or they prove to be unreadable for adults. But in Chip, Moore straddles that line brilliantly and has produced something that can entertain on a number of levels. On that note, over the past couple of years, Moore has very quietly put out some of the best books that the comics market has to offer. 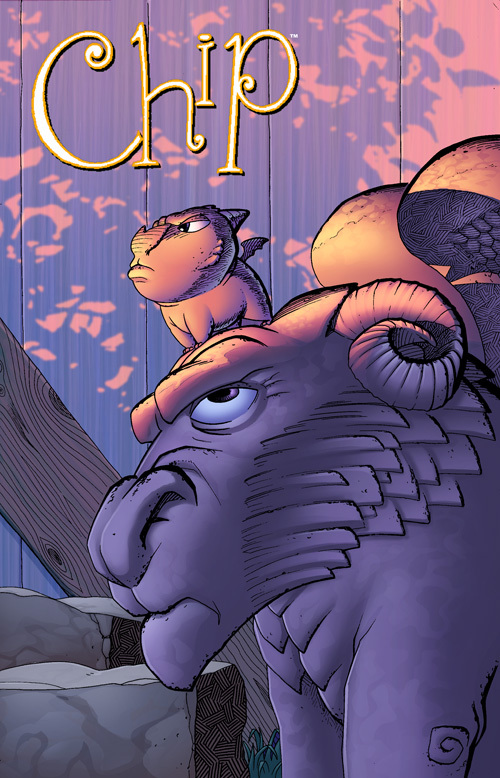 His new series, Gobs, is another whimsical (though not as all-ages-friendly as Chip) tale featuring all manner of mythical creatures. Both books present wonderful--and much needed--escapes from the superhero tropes that so flood the market. So check out Chip--it officially has the Exfanding Seal of Approval. This is mostly unrelated, but I figured it should be known that earlier today I sat staring at this phrase "Expanding your Horizons: for a good 10 seconds trying to find an "f". I believe this means a job well done.